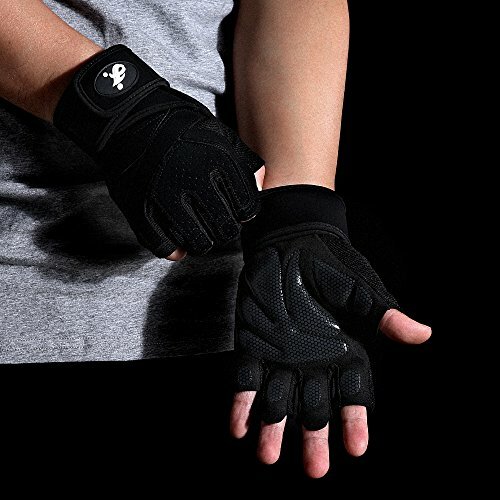 BREATHABLE & LIGHTWEIGHT — Our exercise glove is made of breathable Microfiber And Micro Mesh Cloth, slim, fingerless, and lightweight construction keeps your hands feeling dry and comfortable after hours of intense crossfit workout. 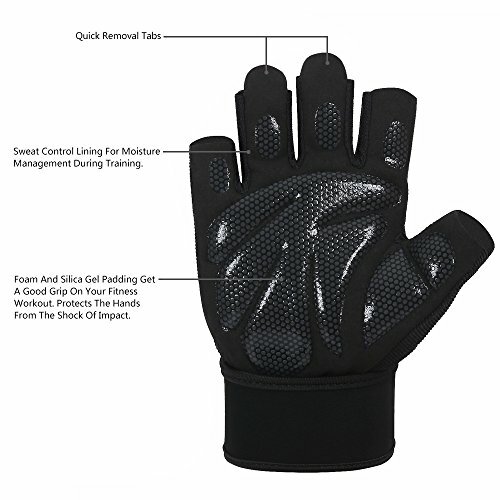 FULL PALM PROTECTION —Non-Slip Silica Gel Palm Provide Great Grip, This weightlifting glove covers the entire palm and the thumb of your hand,avoid calluses and other skin related aggravations with our soft and heavily padded palms. 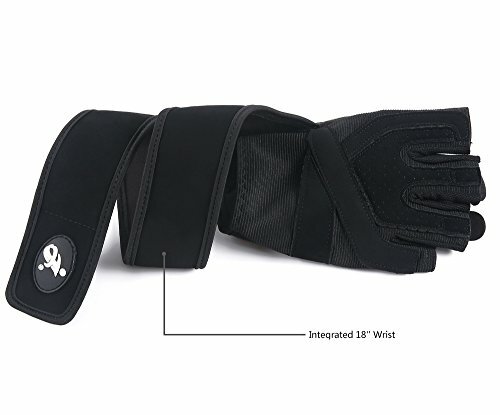 BUILT-IN WRIST SUPPORT — Wide & long wrist support designed will keep your wrists safe during you performing cross training and Olympic lifts like snatches, clean and jerks, front squats, and other lifts requiring wrist protection. 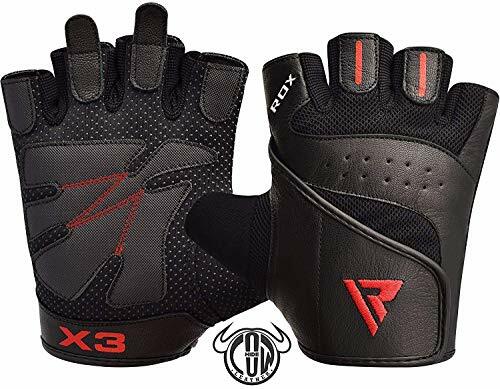 Our Gym Gloves provide the most professional protection for your hand, and our gloves reduce the risk of injury and keep your hands healthy, allowing every fitness enthusiast to stay focused during exercise and make your workout more enjoyable. 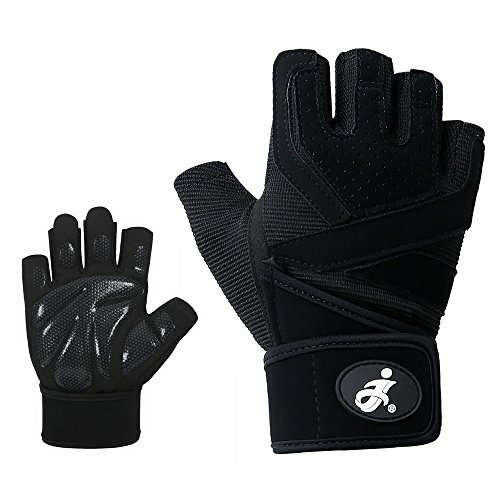 It is the best gift for you or your friend or your family! Please measure the circumference of your hands by measuring tape and compare with the chart below to know which size is fit for you. if there is any problem contact us please, replacement and refund is supported. 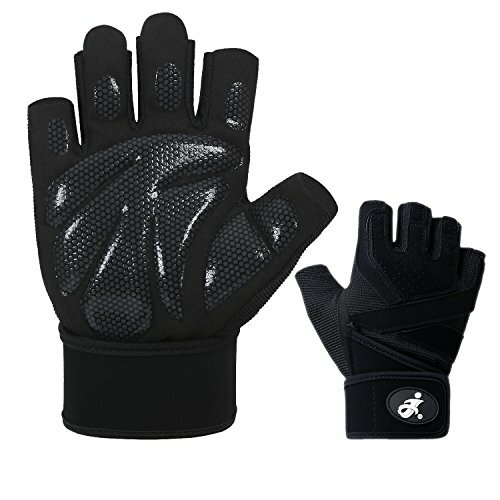 Protect your fingers from calluses. Calluses and blisters . 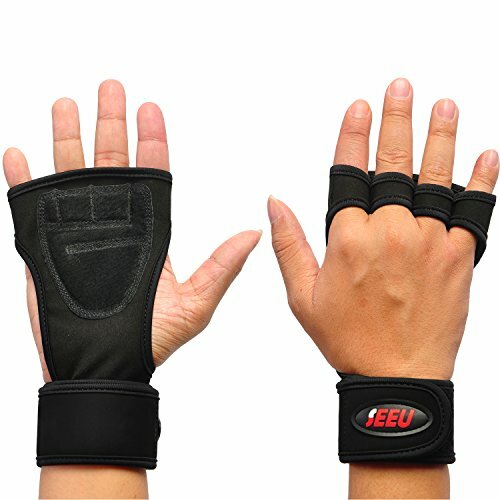 Lightweight and breathable design With adjustable wrist wraps! 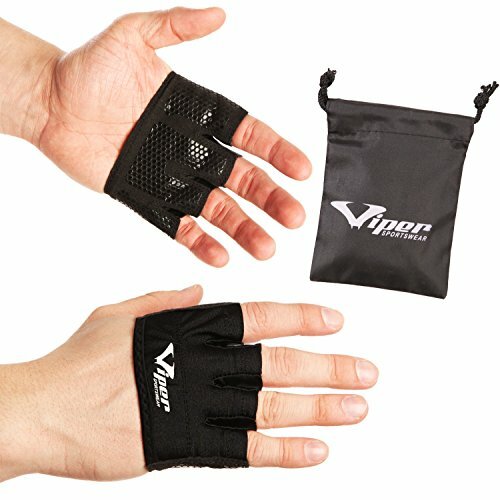 Unique silicone padding design For a natural and stronger grip. 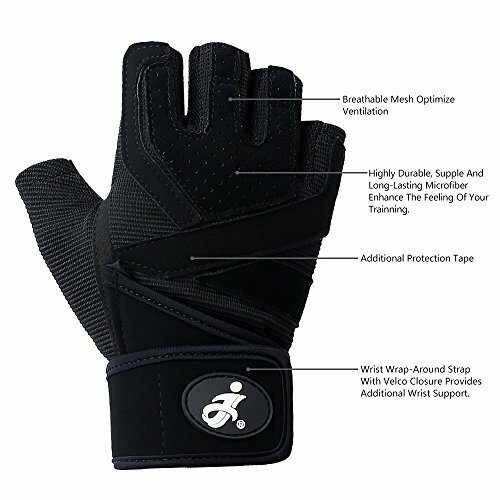 MULTI-FUNCTION & PURPOSE — Our workout glove is Perfect for Cycling ,Weight Lifting, Cross Training, Gym, Powerlifting Cross Training and Other Heavy Fitness Workouts,to improve safety and prevent abrasions, burns, calluses and blisters. PLS CHECK THE SIZING CHART before placing your order.We will exchange your item asap if you’re having sizing issues. 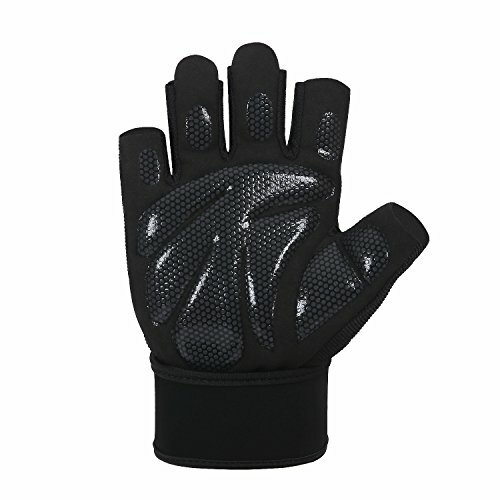 Simply reach out to us via an Amazon message. 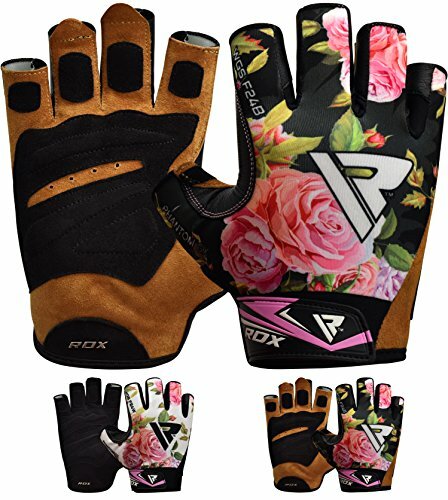 if there is any problem contact us please, replacement and refund is supported.